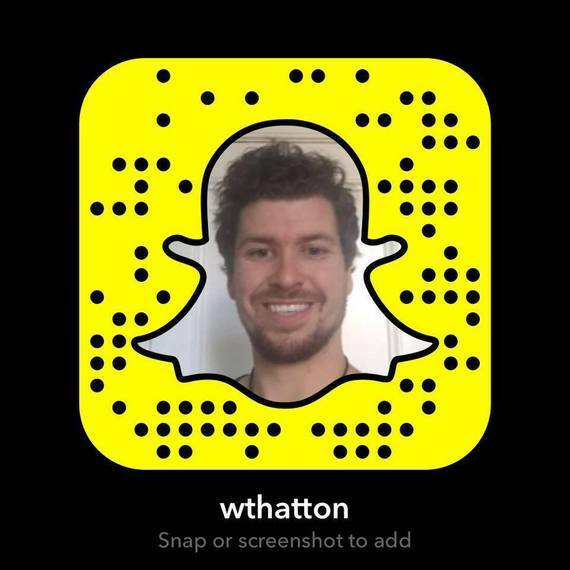 Remember when SnapChat used to be known for people sending naked photos that would delete after five seconds? That was cute. 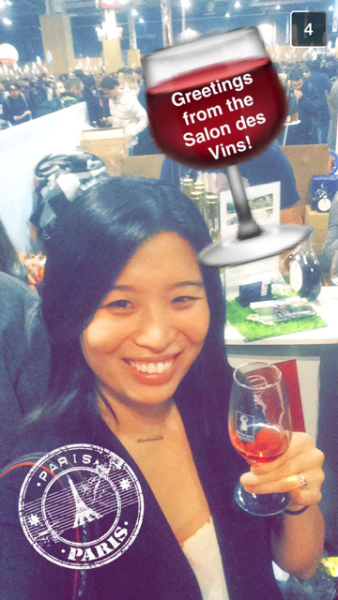 But now there's way better uses for the social media app, especially when put in the hands of world travelers. Imagine having your own personal travel shows and tours of far away places, in the palm of your hands for you to view whenever you're feeling a little wanderlust. 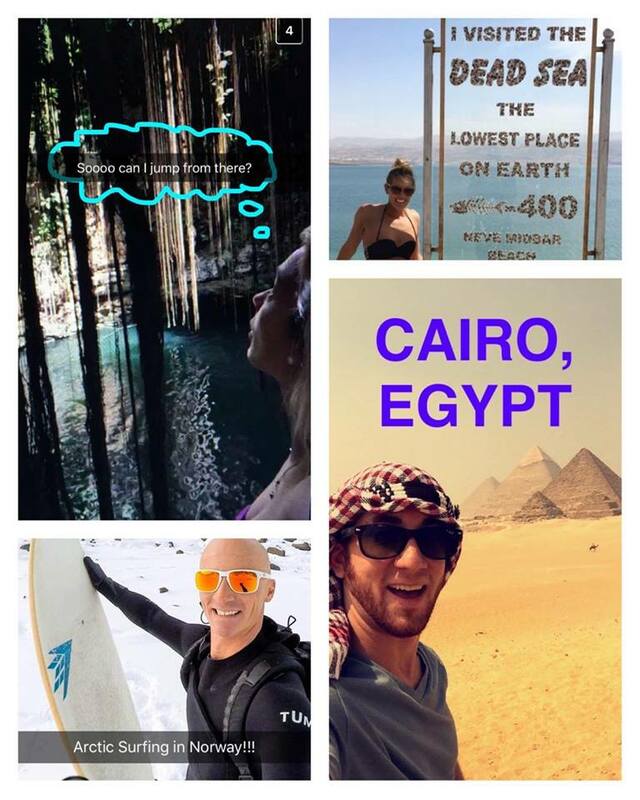 That's what will happen when you follow these full-time travelers, who Snap to literally put the world in your hands! 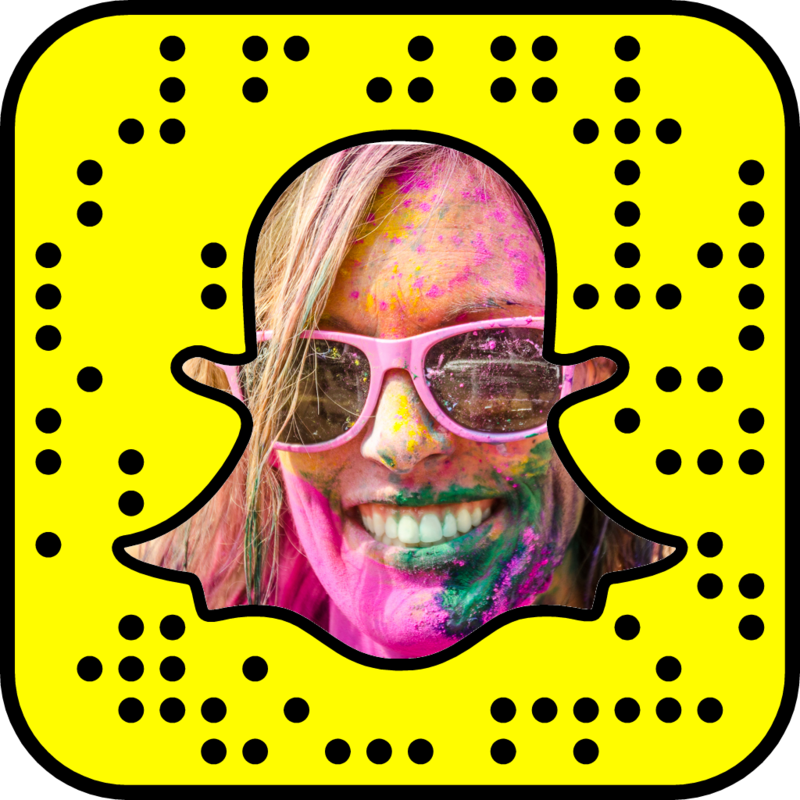 I'm a full-time solo traveler (MyLifesAMovie) and I use SnapChat to show what's really going on behind the scenes when I travel and am taking those seemingly perfect-looking Instagram shots. There's a lot of sarcasm involved and my facial expressions don't hide anything. I also do a lot of tutorials for travel tips and tricks, like how to use the flexible option to get hundreds of dollars off flights, how to pack a carry-on, and even how to use a GoPro to get photos like mine! I'll be all over Southeast Asia in May, and up to no good in the mean time! Matt (Expert Vagabond) has been a full-time traveler for the past 5 years now, and shares his crazy travel adventures from around the world in real time. Recently he was snapping the Northern lights in Norway, and the Mayan ruins in Mexico, and right now you can catch him snapping things like classic cars in Cuba! 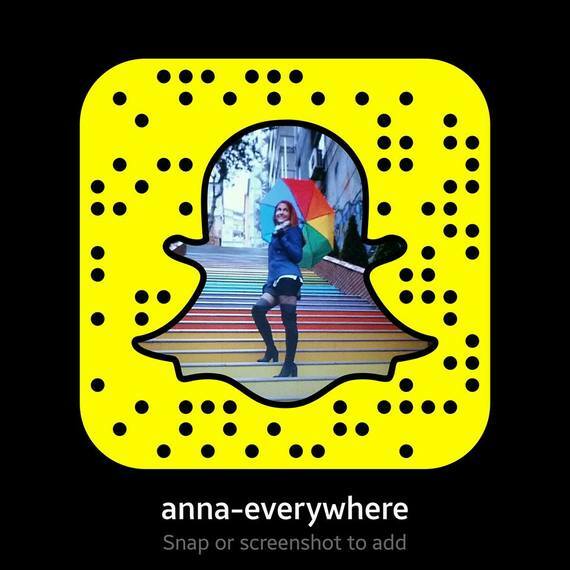 Anna (AnnaEverywhere) is another full-time traveler whose Snapchat ranges from a variety of entertaining things. She's really good at capturing the behind-the-scenes life of travel bloggers, for instance; she snapped me while I was attempting to take a GoPro selfie over the edge of a cliff, and also snapped Matt (ExpertVagabond) after he accidentally broke the shifter in a beach buggy in Cozumel. 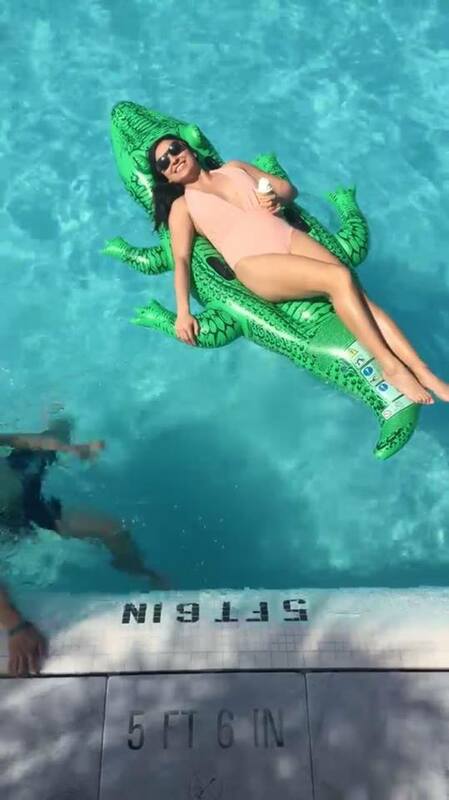 She also manages to always find cute animals to snap, and shows her skills when practicing aerial! 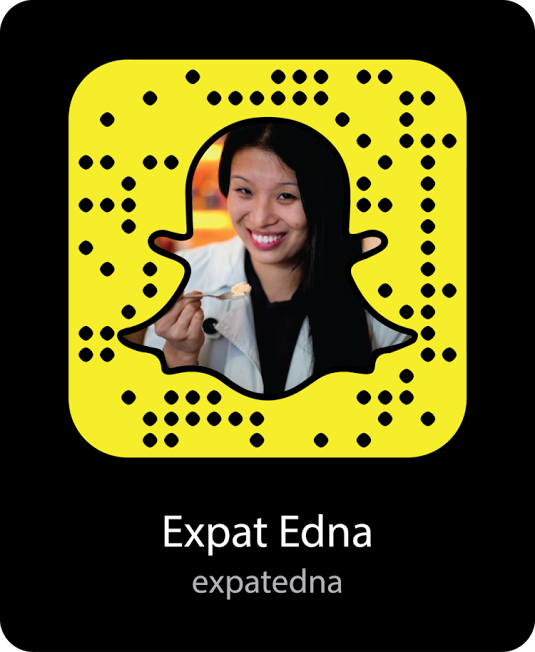 Right now she's snapping from Havana, Cuba! 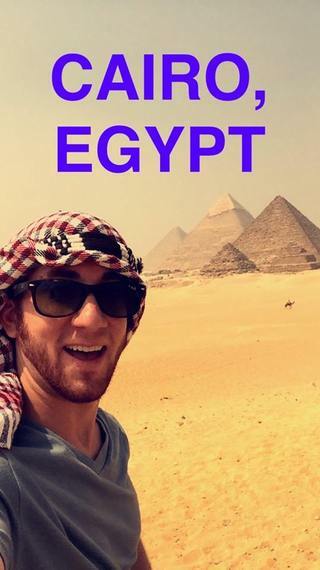 Drew Binsky (TheHungryPartier) is a full-time traveler and Snapchatter, sharing his fun adventures around the world. 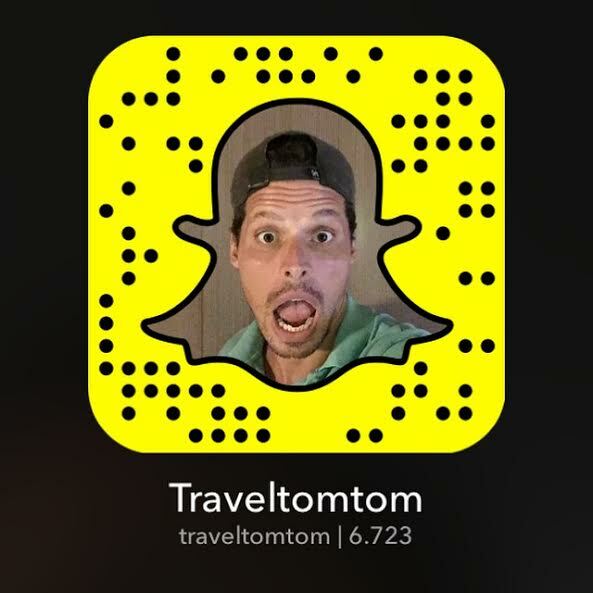 Follow his entertaining Snapchat to get a behind-the-scenes look at the world's best cities, festivals and activities. 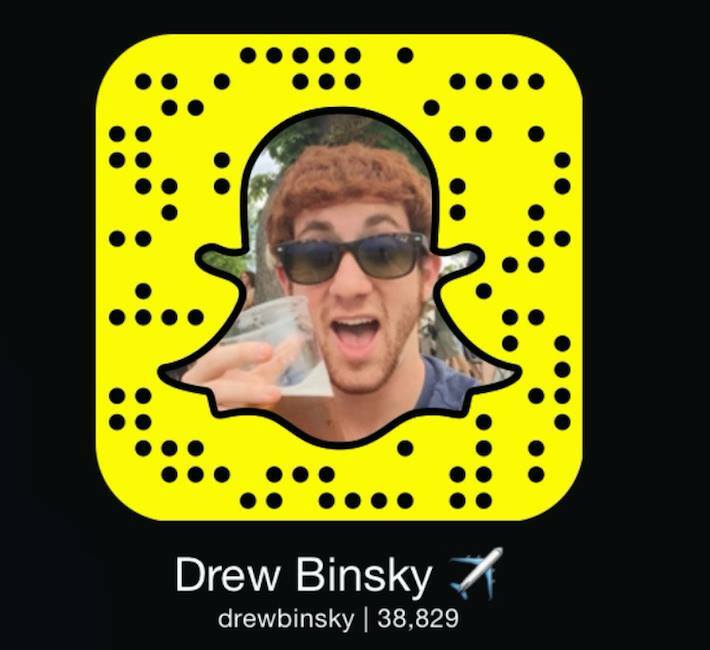 Drew frequently plays games with his followers, giving out free prizes like postcards to people who snap him back! Drew is currently Snapping his adventures in Indonesia, and then he'll be taking you around New Zealand, Fiji, Vanuatu, Australia, Singapore, Malaysia and Vietnam until June! 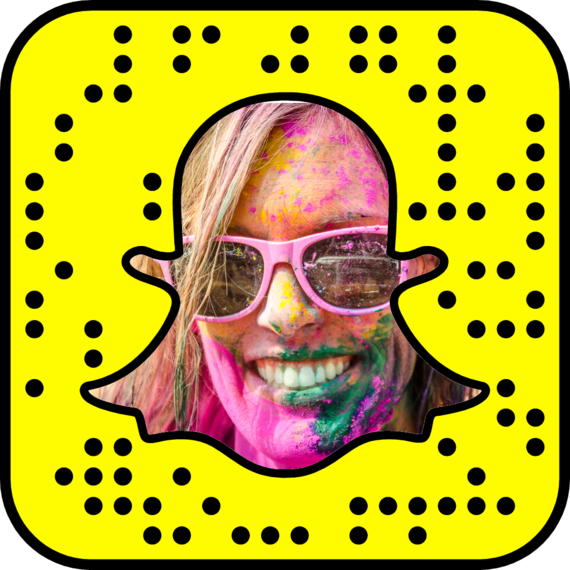 Hannah and Adam are the dynamic duo behind the blog and Snapchat Getting Stamped, and are an awesome full-time traveling couple! #relationshipgoals. They've been on 22 flights this year already, and just spent two weeks in Israel. 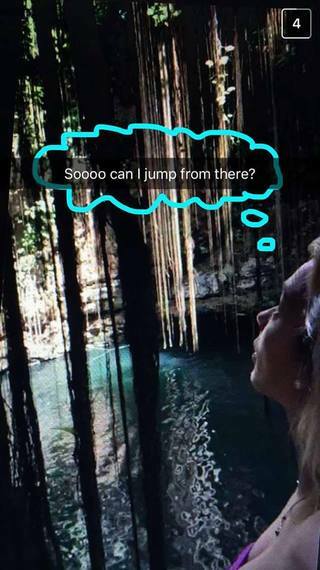 Now they're exploring Cuba for the next few days before heading back to Playa del Carmen, Mexico! 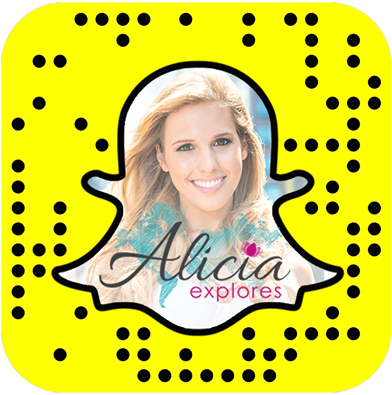 Alicia (AliciaExplores) has quite the entertaining Snapchat account with her lovely travels and witty presentation. 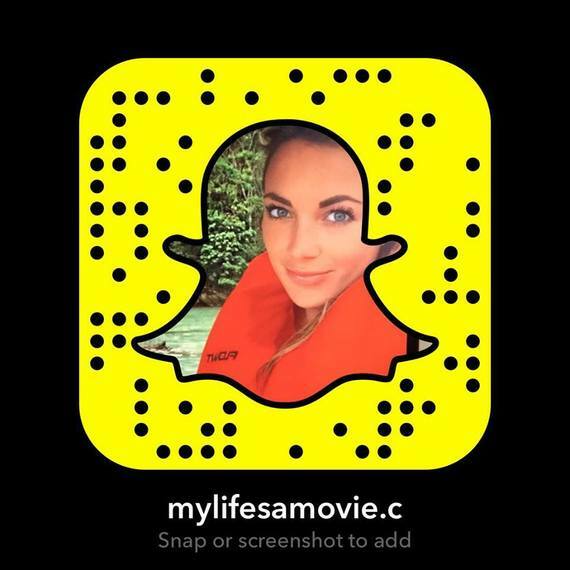 Recently I just watched her do a full on conversation as a face-morphed tiger, and I'm pretty sure she was Snapping it from her seat on the plane! 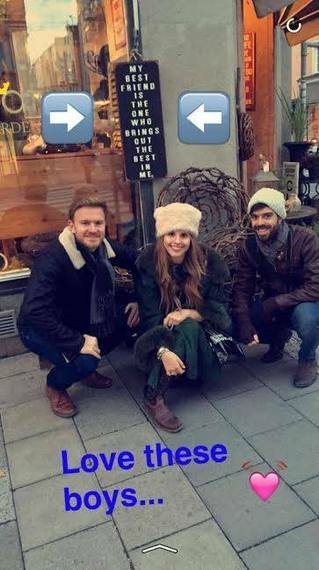 She also likes to include the people in her life who are close to her, which, I'm sure get a kick out of being her Snapchat victims! 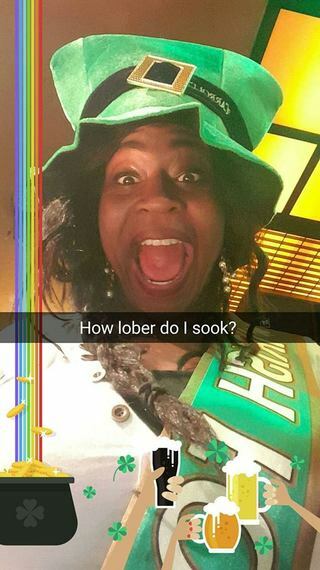 See what shenanigans she's currently up to in the UK right now! Tom (TravelTomTom) is a full-time traveler who uses his Snapchat to show what's really going on during his travels instead of just looking at his beautiful Instagram pictures (I've seen them, they're pretty great). 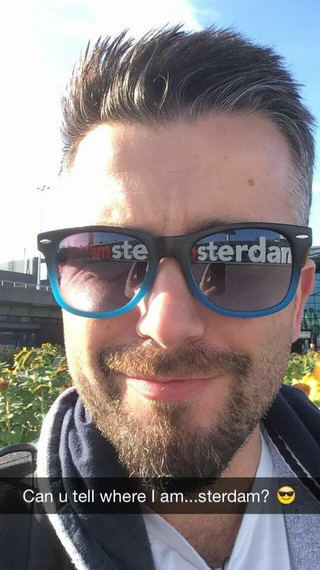 See how he goes from slumming it in 0 star hostels to the most exclusive 5 star hotels, and how he sips cocktails on rooftop bars then will go have a beer with locals and try the local food. 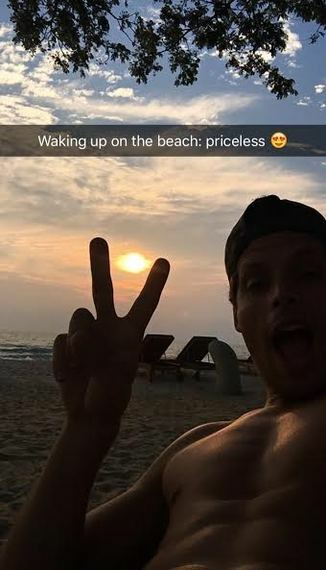 He cliff jumps, snorkels, and climbs mountains for a shot of an amazing sunset. Right now you'll be able to see him snapping from Southeast Asia! 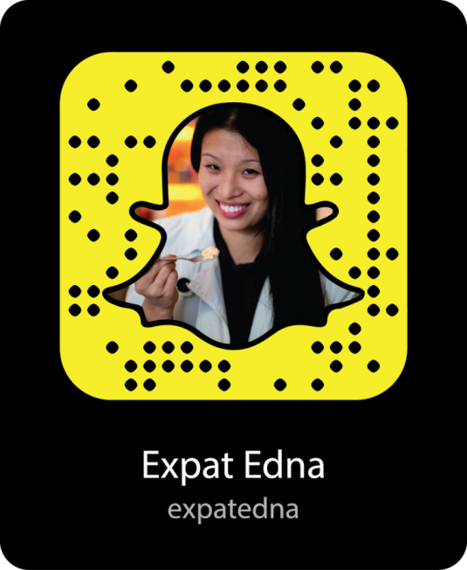 Edna is a serial expat and the blogger behind Expat Edna. She left home at 18 to see the world, and after eight years of bouncing around Asia and Europe she now travels from a home base in Paris. 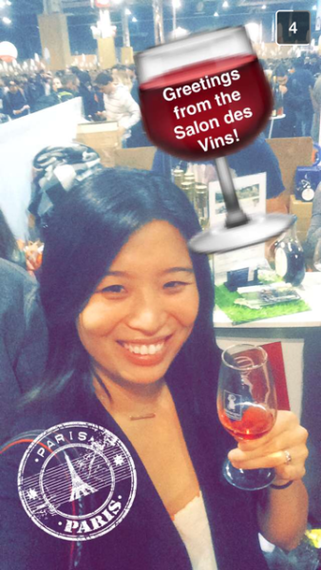 Her snaps will introduce you to delicious eats from around the world, from the best cichetti in Venice and cocktails in Paris, to craft beer in Japan and night markets in Taipei. Don't watch when hungry: you've been warned! 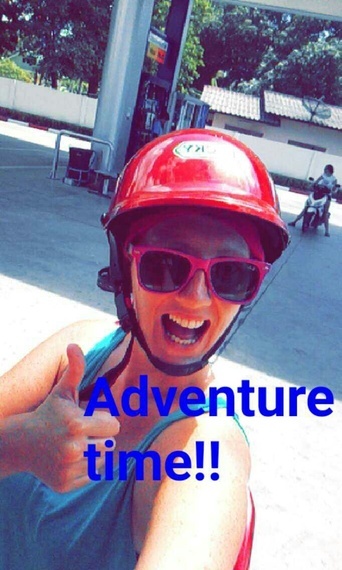 Janet (JournalistontheRun) is a quirky full-time travel blogger from Ireland who is literally always on the run! She recently did a two week trip on the Kerala Express in India, and is now hopping around Thailand and Southeast Asia! Lee has technically been to every country in the world (LeeAbbamonte.com), and says that he loves Snapchat because it's an unfiltered look into his daily life; both traveling and at home. 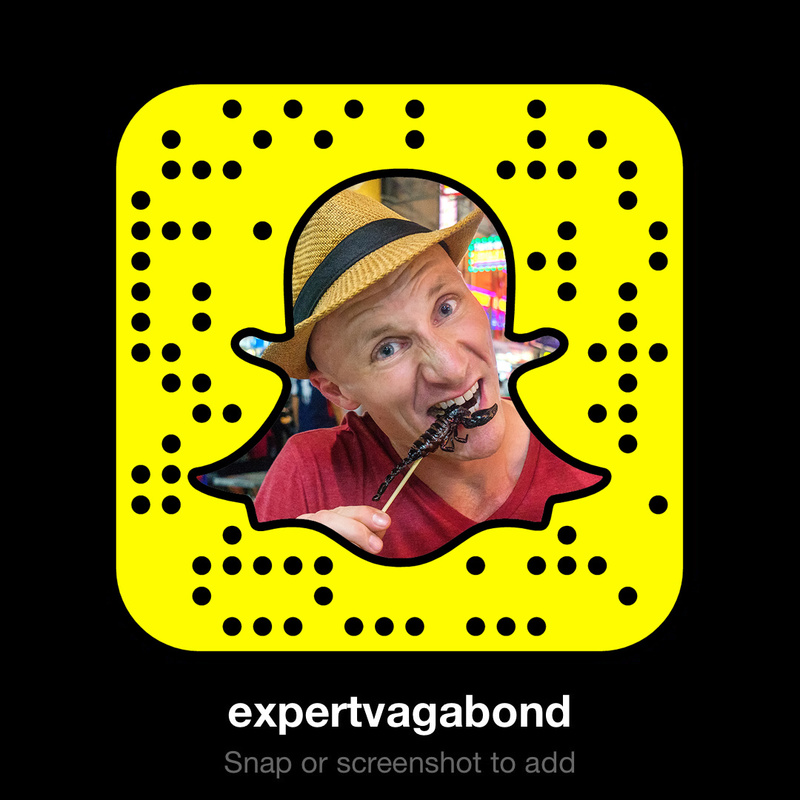 You can expect to see some awesome scenery and lots of commentary from all corners of the globe, with a sense of humor and sarcasm. 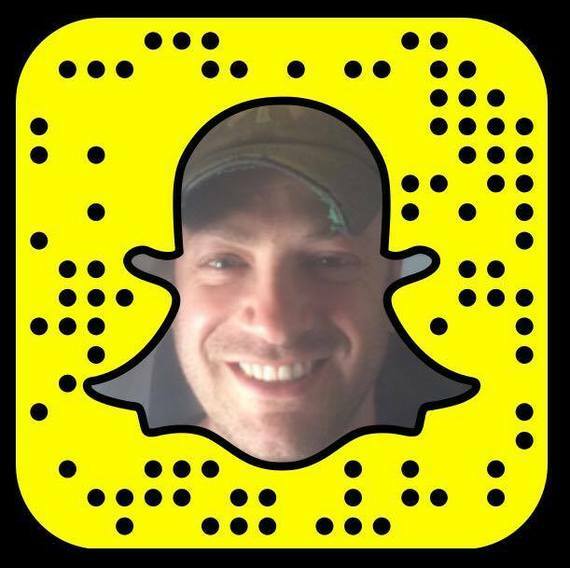 Plus he tends to throw in some pizza, sports, music, and emojis! 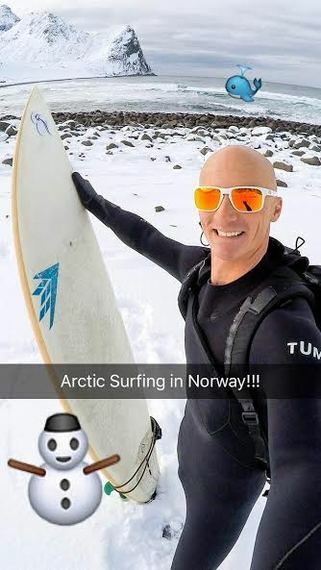 Lee will actually be traveling to Longyearbyen, the Northernmost town in the world, where I just was last month, where he'll be departing for an expedition to the North Pole. 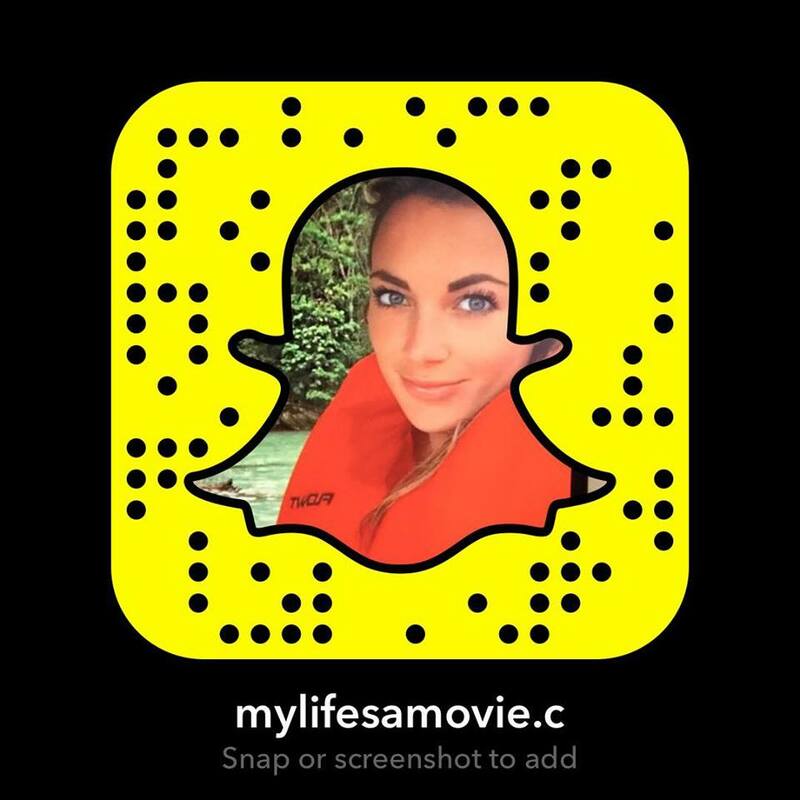 Anna Kate (The Legendary Adventures of Anna) has a vibrant Snapchat packed with her exciting solo travels around the world. Her snapchat features gorgeous photos, nature, tasty local food, fashion, silly selfies, epic scenery, on the ground amusing cultural insights, travel tips and quite a few videos of her getting hopelessly lost on the trains. 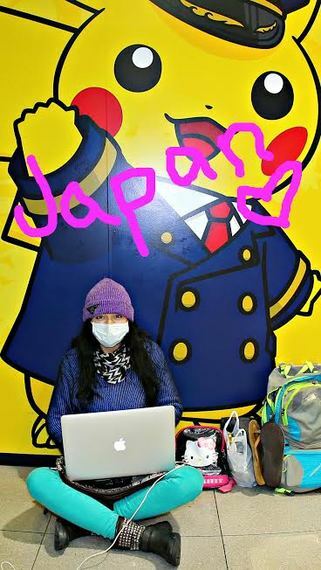 She's currently Snapping from Japan! 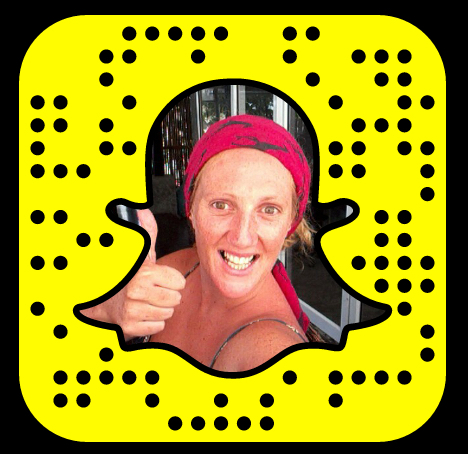 Gloria (TheBlogAbroad) lives on the road and uses her SnapChat to share a range of things; from what she sees and experiences while out and about exploring, or simply doing her day-t0-day rants and musings about life. 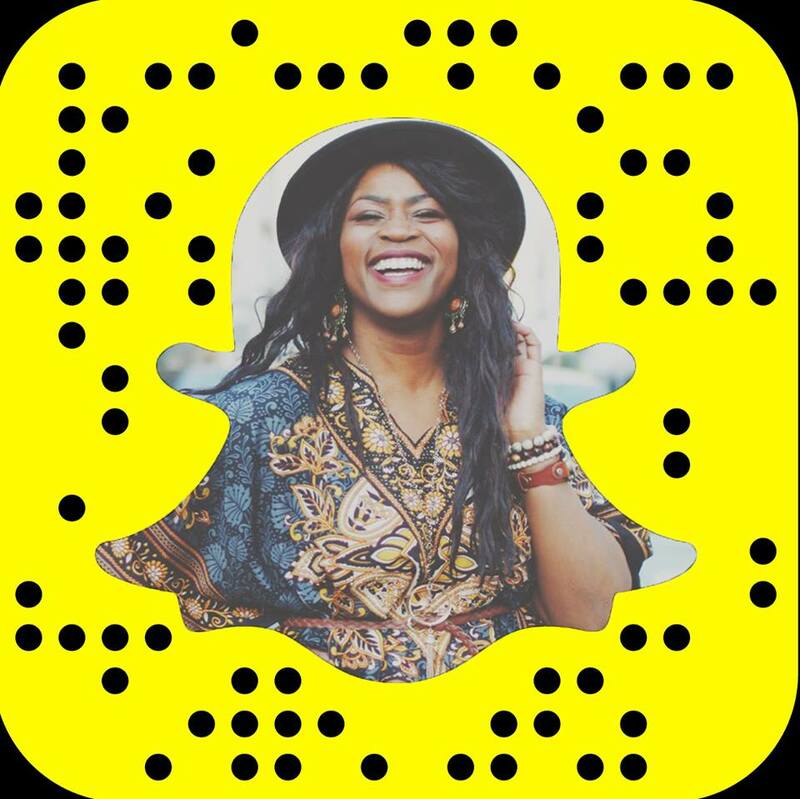 She says that it's true that being a full-time travel blogger is complex, but with SnapChat's non-edited medium, it allows us to show others that we are JUST like them. She says it's that unfiltered connection in real-time that will only make Snapchat continue to grow. 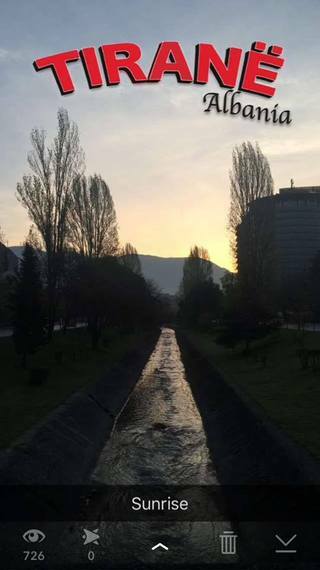 Will (TheBrokeBackpacker) is currently on a four year backpacking adventure which he's doing without the use of flights. He has recently been Snapchatting his journey as he criss-crosses Iran by hitchhiking and tackles trekking in the Pakistani mountains. 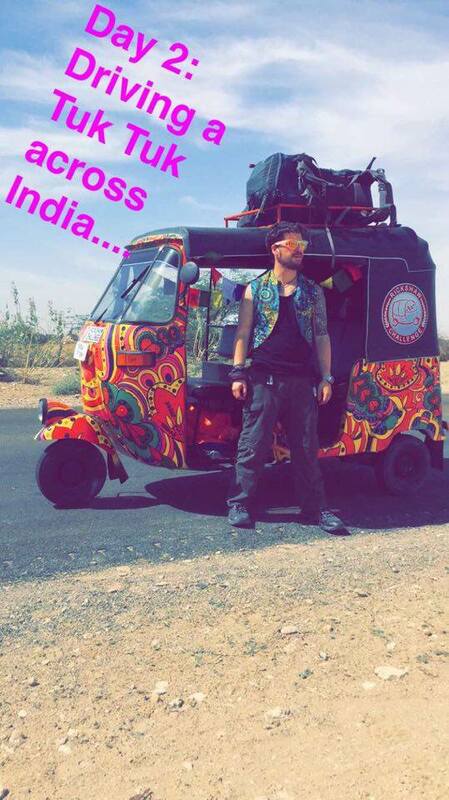 Right now, he is driving a psychedelic tuk tuk across India, and snapping the whole way! 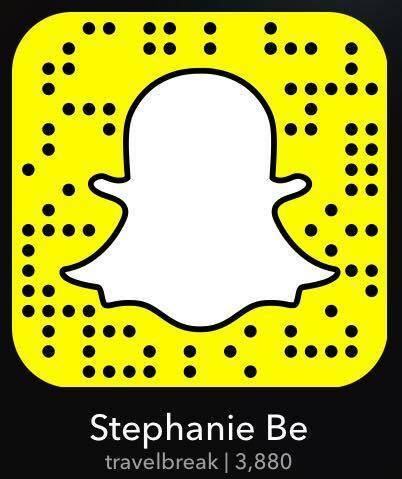 Steph Be (TravelBreak.net) likes to show the behind the scenes from her travel experiences which consist of adventure, lifestyle, and culture. 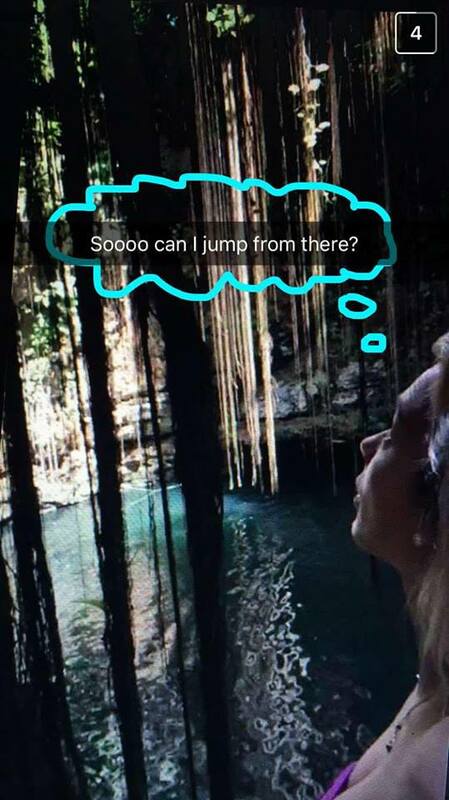 She says to not be surprised if you see her dancing on a cliff on Snapchat, where you'll later see it on her travel blog or Instagram as a an actual pic! 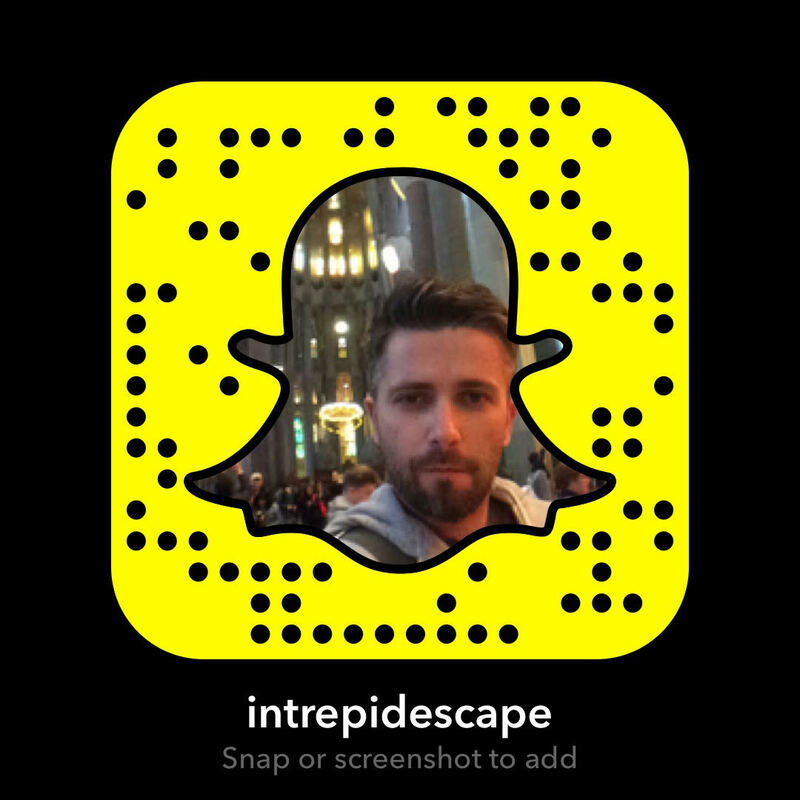 Scott (IntrepidEscape) aims to inspire people to travel through his own travels, which he's been doing for quite some time after the travel bug hit him at an early age. In fact, when I asked him to send send me a few snaps he wrote back that he was casually searching through his phone for some at La Sagrada Familia in Barcelona...where he ended up sending me a Snap of Amsterdam!